Dr. Thomas Cartolano, D.O., is a trauma surgeon at Advocate Christ Medical Center, one of the busiest trauma centers in the Midwest. He is also a Clinical Assistant Professor of Surgery at University of Illinois Chicago. 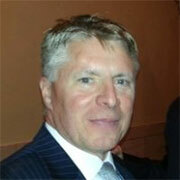 Dr. Cartolano is a graduate of Chicago College of Osteopathic Medicine. He completed his residency in General Surgery at the University of Medicine and Dentistry of New Jersey followed by a Surgical Critical Care and Trauma Surgery fellowship at Ryder Trauma Center at the University of Miami. 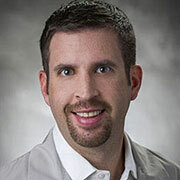 As a former EMT, Dr. Cartolano’s interests include pre-hospital care and EMS education, along with disaster planning. Elisabeth Weber has been the Project Administrator of the Hospital and Healthcare Preparedness Program (HPP) at the Chicago Department of Public Health since 2009. Prior to that, for seven years, she managed the Emergency Preparedness Program at Children’s Memorial Hospital (now the Ann & Robert H Lurie Children’s Hospital of Chicago) where she was also the Director of Emergency Services for four years. She has served as the Administrative Manager of Emergency Services at Northwestern Memorial Hospital in Chicago, the Unit Manager of the Emergency Department at MetroHealth Medical Center in Cleveland, and the Assistant Nurse Manager of Adult Emergency Services at Bellevue Hospital, in New York City, where she received her Master’s degree in Nursing Administration from New York University. Her Bachelor of Science degree in Nursing is from Case Western Reserve University. She is an Advanced Practice Nurse/Clinical Nurse Specialist, a National Healthcare Disaster Professional-Board Certified and a Certified Emergency Nurse. Michael Snyders – National Coordinator for the High Intensity Drug Trafficking Area Assistance Program in Miami, Florida. Michael Snyders retired as a 25-year veteran of the Illinois State Police where he successfully served as Colonel over the Division of Operations. Highlights include key roles in the creation of the first Illinois State Police intelligence fusion center, the state police command officer accountability program Commanding Operational Police Strategies (COPS) and his reputation as a “hands on” leader who wore the uniform with pride nearly every day. Michael is recognized as an international expert in the field of police patrol supervision, active shooting response and highway drug interdiction. He has provided assistance and training to agencies at locations throughout the United States, Canada, Northern Ireland, Poland and Peru. In August of 2010, Michael was selected to serve as a coordinator for the United States Domestic Highway Enforcement strategy of the High Intensity Drug Trafficking Area (HIDTA) program. Colonel Michael Snyders recently received the El Paso Intelligence Center Director’s Award as well as a Lifetime Achievement award from the Federal Highway Administration. He served in a number of command roles, including that as the District 6 (Pontiac) Patrol Commander, Zone 5 (Champaign) Investigations Commander, Chief of the Intelligence Bureau, Chief of Staff in the Director’s Office, and as the statewide Operation Valkyrie (drug interdiction) Coordinator. A 1982 graduate of Illinois State University with a bachelor’s degree in biology and the Police Executive Researcher Forum in 2008. Colonel Snyders worked as a pharmaceutical representative for Merck Pharmaceutical Company prior to his employment with the Illinois State Police. Michael is an active private pilot and serves as an officer in a local flying club. As a morning runner, he recently completed his 10th marathon. including, Preceptor, Field Training Officer and Public Information Officer. For the past 2 years, Damon has served as the Community Relations Coordinator for AMR and MedicWest. He held that role until his promotion to his current role in January of 2017. Damon is in the process of obtaining his Bachelor’s degree in Business Administration from Nevada State College and plans on graduating in May of 2018. 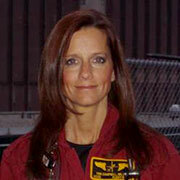 Teri Campbell has been a nurse for over 30 years and is currently a Flight Nurse at the University of Chicago. In addition, she is the Executive Director for Illinois Heart Rescue a statewide QA/QI project that has more than doubled neurologically intact survival for out of hospital cardiac arrest. She has been blessed to lecture nationally on high-risk OB, pediatric, critical care, ED and trauma topics. Lonnie started his career as a volunteer firefighter in 1983 west of Peoria Illinois while attending college. While a member of Logan-Trivoli FPD and Limestone FPD, he worked as an EMT-B for B and B Ambulance. He is a graduate of the OSF St Francis Paramedic Education program in 1989. He started his Paramedic career as a Paramedic for St Francis Hospital in Peoria in 1989. He then went to work for the Morton Fire Department as a Paramedic /firefighter in 1990 while remaining at OSF St Francis in the ED as an advanced care technician. He also worked in the private ambulance business for Advanced Medical Transport. He then re-located to suburban Chicago while working for Paramedic Services of Illinois as a contract Firefighter Medic for Pleasantview FPD, Oakbrook FD and Addison FPD in 1992. He was hired as a full time FF/PM for Pleasantview FPD in 1993 where he worked until retiring as a Lieutenant/PM in September of 2014. He received his ADN from College of DuPage in 2004. He received his BSN with honors from Benedictine University in 2008 and an MSN in 2010. He has a post graduate certificate from Olivet University in Advanced Practice Nursing with a focus in Family Practice Nurse Practitioner. He is a member of the Emergency Nurses Association, Sigma Theta Tau National Nursing Honor Society, American Association of Nurse Practitioners and the National Association of EMS Educators. Since 2011, his current work is as the EMS Manager for Silver Cross EMSS, which has 34 provider agencies and over 1800 providers in one of the largest EMS systems in Illinois. He is also the Nursing Director for Chicagoland Speedway in Joliet. He is married with 5 children and 8 grandchildren. In his spare time he enjoys traveling and riding his Harley Davidson motorcycle. Stephanie is the EMS/Disaster Preparedness Coordinator for Advocate South Suburban and Trinity Hospitals for 20 years. She has been in EMS for 36 years, the Fire Service for 27 years, I state Licensed EMS Instructor 25 years. She developed and was lead to a highly respected EMT-B program at South Suburban Hospital for 17 years. Co-Chair of the Region VII Healthcare Coalition. Regional Medical Emergency Response Team Lead for 13 years, in that role she has lead the way on regional training. Yearly she directs a federally funded Full Scale Exercise for Region VII and their Community Partners. In the last several years she has developed an MCI Scene Management Program that includes a Functional Exercise. Has been an advocate for the Stop the Bleed program through which she has been able to distribute over 1000 tourniquets and emergency dressings. Her career has taken her to Russia in 2005 on a delegation for EMSE and DHS, focus on Healthcare Disaster Response and EMS Operations. She has participated in many trainings through the National Disaster Consortium: New Mexico Tech-EMRTC (Responder Explosives Trainings), LSU-NCBRT (CBRNE) , NNSA-CTOS, Nevada (Radiological and Nuclear) , Advanced Chemical and Biological Integrated Response Course (ACBIRC) at Dugway Proving Grounds, Utah, and CDP in Anniston Alabama which includes their live agent training, multiple CBRNE programs, Incident Command, Healthcare Leadership, EMS Response, Hospital Emergency Response Team, and LE Response and Command. In 2017 she received several Instructor Awards for Silver Cross EMS System Lead Instructor and IDPH Disaster Preparedness Educator Award. 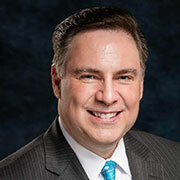 Mike Caplan is a Chicago television meteorologist with more than three decades of experience forecasting weather ranging from tornadoes, to hurricanes, to blizzards, to deadly heatwaves and even a few nice days in between. Mike is a Chicagoland native and has spent nearly a quarter of a century on local news in his home town. After graduating Illinois State University with a degree in Mass Communications he completed his meteorology training at Mississippi State University. Besides being a recognizable face on TV, Mike has also carved out a strong presence on social media where his reports from Studio C (his home) dominate the internet audience when severe weather threatens. When he’s not on camera he’s behind it. Mike and his wife own Caplan Studios Photography and enjoy creating beautiful images of people as well as nature. Mike is also passionate about pets and features adoptable dogs and cats each week on his broadcasts through a program he developed thirty years ago called Perfect Pets. He and his wife have three dogs of their own-including two that they adopted through Perfect Pets. Mike’s son is a rising sophomore at the University of Iowa and has no desire to be a weatherman. Robert Hugh Farley MS, the principal of Farley International, was the commanding officer of the Cook County Sheriff’s Police, Child Exploitation Unit in Chicago. As a highly decorated Detective, Unit Supervisor and Deputy U.S. Marshal he has had over 28 years’ experience investigating and supervising all aspects of child abuse crimes from sexual abuse to child homicide. As an internationally recognized expert, consultant, author and instructor in child abuse investigation techniques he has conducted thousands of child abuse investigation training seminars for the U.S. Department of Justice in all 50 of the United States and in 23 different countries for INTERPOL. In 2007, he supervised the child sexual abuse investigation at Oprah Winfrey’s School for Girls in South Africa. In 2011, he was the first police officer to conduct child abuse training for the clergy in the Vatican – Rome. In 2015 he returned back to Rome to conduct additional training for the clergy in the Vatican. Bruce S. Wilkinson, CSP is a leadership/communication/culture implementation strategist, professional motivational keynote speaker, trainer and consultant, who reinforces personalized messages with humor, passion, enthusiasm and authenticity. His mission is to help organization’s translate their culture into a workplace climate that inspires leadership excellence, service and personal accountability. He has degrees in both Safety Engineering and Occupational Safety and Health and is one of fewer than 800 people worldwide to earn the prestigious Certified Speaking Professional (CSP) designation. 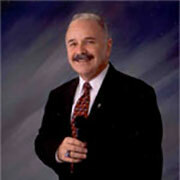 As President and Chief Leadership Officer of Workplace Consultants, Inc. and Wilkinson Seminars and Presentations, he has presented in all 50 states, delivering enthusiastic keynotes and training programs for over thirty years to hundreds of businesses, associations, organizations, government agencies, hospitals, utilities, banks, insurance companies, contractors, forestry, universities, petro chemical/energy companies and all branches of the U.S. Military.